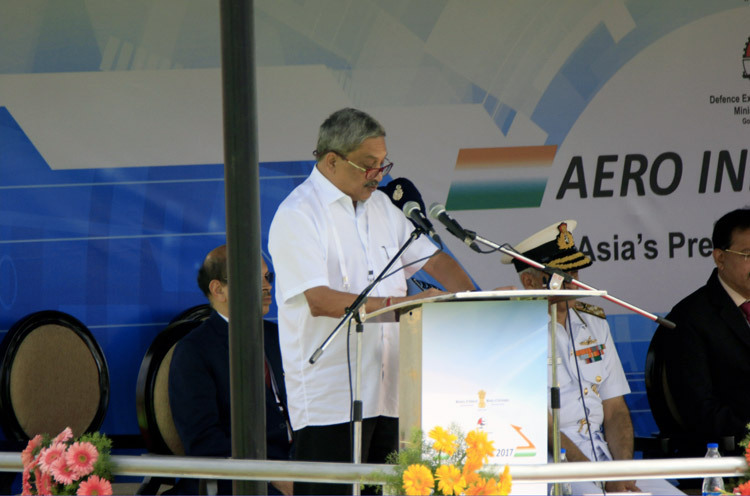 As the skies in Bengaluru thundered with the Rafales, Sukhois, LCA Tejas, the Surya Kirans, the choppers and other aircraft, the Defence Minister Manohar Parrikar signalled that India was at the cusp of major transformation with regard to aerospace and defence manufacturing. 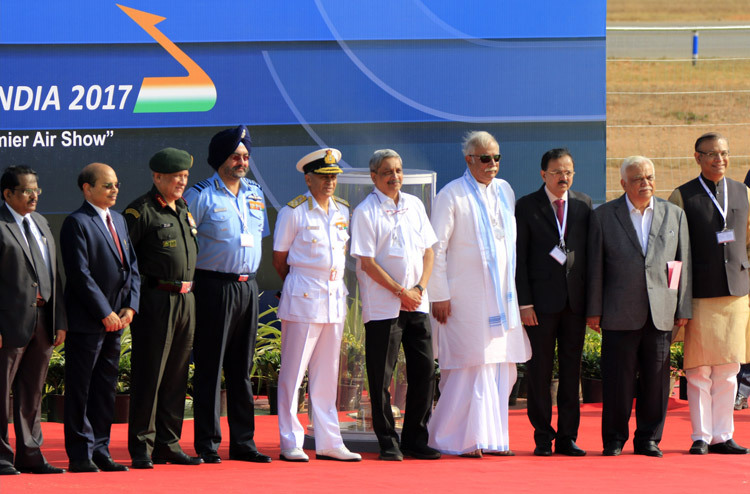 The 11th edition of Aero India, the premier air show of Asia, took-off on an optimistic note that both the Indian aerospace and defence industry and also the foreign original equipment manufacturers (OEMs) were aligned with the government’s policy of ‘Make in India’. 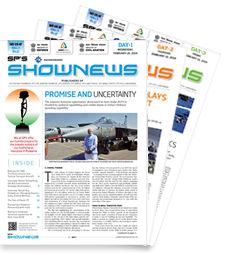 Testimony to that were some of the aircraft of display including HAL’s Hawk-i along with BAE Systems and the Defence Research and Development Organisation’s (DRDO) airborne early warning and control system (AEW&C). The take-over ceremony of the AEW&C on Brazilian-built Embraer ERJ 145 aircraft was held on the occasion. The aircraft flew as part of the inaugural display. The aerial platform is meant to be a force multiplier that is expected to assist the Indian Air Force combat aircraft. It has the capability to detect incoming fighters, cruise missiles and even drones. It is equipped with a 240-degree coverage radar and can detect, identify and classify threats in the surveillance area and also act as a command and control centre to support air defence operations. 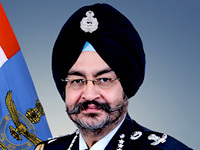 Stating that the government was going aggressive on various initiatives that would prop up the economy, including ‘Make in India’, ‘Start-up India’, the Defence Minister said that the focus had shifted to start-ups, while the government will not compromise on time-bound delivery of projects, to ensure that the armed forces modernisation was always on track. “The government will encourage manufacturing, design as well as innovation in the field of defence manufacturing. Conditions have never been better than now for defence manufacturing in India and I hope it will make way for better technical enhancement,” he said. 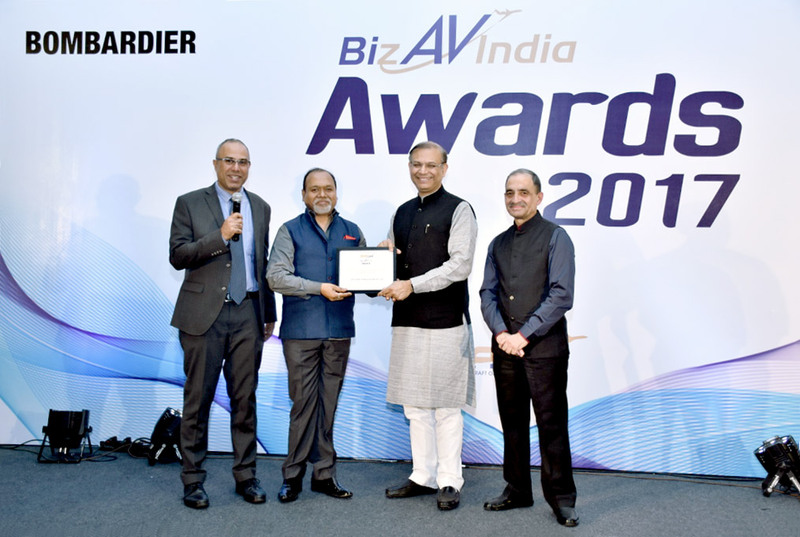 There would be constant efforts to engage the foreign OEMs, who he acknowledged had contributed significantly to enhancing India’s aerospace and defence capabilities. The government, he said, was taking measures to ensure that ease of doing business would improve to enhance investments, not only domestic but also international, in these sectors. The Karnataka Chief Minister, Siddaramaiah, was conspicuous by his absence. In his place the Karnataka Minister for Higher Education and Tourism R.V. Deshpande read out the Chief Minsiter’s speech in which he said Karnataka was a true aerospace and defence hub, considering that there were a number of companies based out of Bengaluru. The government would continue to encourage this trend. In his welcome address Ashok Kumar Gupta, Secretary, Defence Production, said that Aero India had carved a niche for itself globally as a premier aerospace exhibition. The interest by the OEMs had increased as the government had come out with policies that were conducive for joint investments.